The Goberians are one of the designer dog breeds and it is assumed to be born in the past decade; it is still not as popular as others. 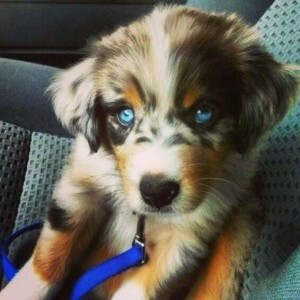 There are reasons to believe that the main reason for combining the two breeds was to put together the beautiful golden coat of the Retriever and the amazing blue eyes of the Husky. There is little other information around the birth of this cross breed. It is important, especially in this case, to know the specifics of each parent breed in order to be able to determine the personality Goberians. It is believed that the Siberian Huskies have their origins in a Siberian tribe called Chukchi. Based on DNA analysis, this breed is one of the oldest, but there is still a lack of details around its birth. Even so, there are still indications that these dogs were used as family dogs by the nomads, who also used them for sled pulling. They were allowed and even made to sleep with the children because they kept them warm, but this also proves they were trust worthy. At the beginning of the twentieth century they reached Alaska, where they played an important role in the gold rush, by pulling sleds. The last of the Huskies reached American from Siberia around 1930, but in time they changed slightly. It was in the same year that they became an accepted and recognized breed by the AKC. The Huskies still have the pack dog behavior today, seeing people around them as pack members. They will try to impose as pack leaders, so it is important for the owners to make a stand and be firm about them being the actual pack leaders instead of their dogs. Large amounts of energy are to be found within Huskies and therefore they need to have plenty of opportunities to use them. Digging is one of the Huskies’ favorite activities and it would be ideal for them to have a place in the backyard where they can put digging skills into practice. Not the barker types, Huskies do howl. They have rather poor skills as watchdogs. The initial purpose for which Golden Retrievers were bred in the nineteenth century was the retrieval of water fowl in a more efficient manner than the Setters and Spaniels. The first owners used to keep only the yellow puppies from these dogs, which needed not only to be exquisite in hunting and retrieval abilities, but also to be good companions at home. Golden Retrievers were excellent performers in dog trials as well and they gained official reconnaissance in 1920’s. It is already known and accepted that this breed is among the most popular dog breeds at the moment and this is because they are excellent family members, loving and loyal. A calm and friendly presence, Golden Retrievers are also easy to train due to their intelligence. They adore being involved in activities with their people and they actually need daily physical exercises to burn the large amounts of energy. They also need some attention in training their mental skills along with the physical ones. Because Retrievers can at times eat too much, the food portions need to be carefully provided and supervised in order to prevent them from becoming overweight. With the parents’ traits in mind, one can understand why the Goberians are sociable dogs, very friendly and attached to people. They clearly inherit mostly the gentleness of the Retrievers and their driven personalities from the Huskies. Loyalty, affection and intelligence are qualities that further describe these dogs, which also know how to manifest as independent at times. All in all, their presence will always be very pleasant and will make one’s day better and usually get along pretty well with other pets and children. However, it is recommended that children are instructed how is best to play with these dogs, in order not to hurt them by accident. Activities will always be welcome for Goberians, especially when people get involved in them as well. Although they get attached to the entire family, the Goberians do have a tendency to create a stronger bond with only one member. The weight of an adult Goberian can range from 15 to 40 kilos and with a height up to 60 centimeters the breed is considered a medium to large one. The eyes of Goberians can be either blue or brown, depending on which parent’s traits they inherit. The ears hang down from the well proportioned and round head. On the overall, the body resembles better to the body of a Golden Retriever, but having a thinner muzzle. The tail and legs inherit more from the Husky’s appearance. The double coat with a dense, soft inner layer and a long outer layer which is is usually straight and sometimes a little wavy provides the necessary protection against extreme weather conditions. 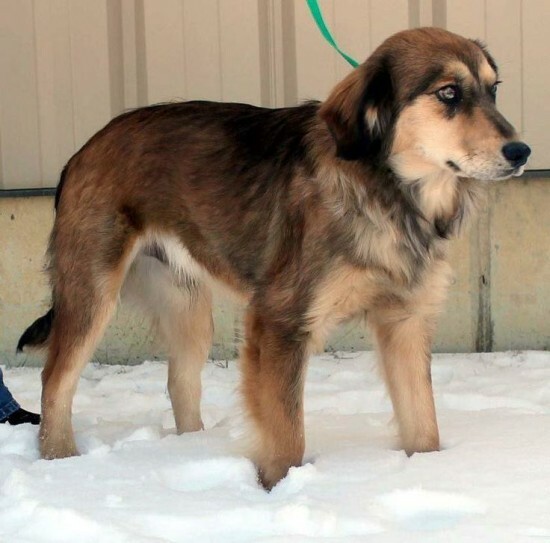 The coat colors can be one of several: brown, cream, black, gray, white or golden. Goberians need and enjoy daily physical exercises at the same time. Exercises help them stay fit and healthy and also have an impact on their behavior development and their mood. Being involved in activities such as walks, runs, hiking alongside their family members will make Goberians very happy. Lack of physical activities can lead to unwanted behavior such as barking and chewing things around or in the home. Training Goberians is usually moderate in difficulty. Although their intelligence makes them easy to be trained, there are some things that are key in the process, such as consistency, positive reinforcements, rewards and other motivational factors. Harsh training methods are usually no good with these dogs. If the Husky genes are more significant than the Retriever ones, they will test the trainers in a leadership claim game and can be slightly harder to train than the scenario when they are closer to their Golden Retriever parent from a temperament point of view. Please note that training and socialization need to start when at an early age. Compared to many other dog breeds, the Goberians have relatively low requirements when it comes to grooming. They are not the heavy shedder types, but will require a couple of weekly brushing sessions. Bathing is required only when they get dirty and is recommended that special dog shampoos are used. Teeth brushing and ear cleaning are also important activities which need to be carried out once or twice per week. Nail trimming is also required, but needs to be carried out with special care as there are nerve terminations in the area. Some people prefer to turn to professionals for this one. Goberians proved to be good watchdogs, always signaling the presence of intruders. They don’t adapt very well or easy to living in apartments, so is best to provide them with some open space in the backyard. They prefer cooler temperature instead of the higher ones. In order to prevent them from gaining unwanted weight, mind the daily food portions carefully and use smaller portions rather than bigger. From a health point of view, Goberians are more exposed to developing conditions to which their parents were exposed to or suffered from. Issues such as epilepsy, cancer, eye and heart problems, as well as allergies, joint dysplasia and OCD are possible with this cross breed. 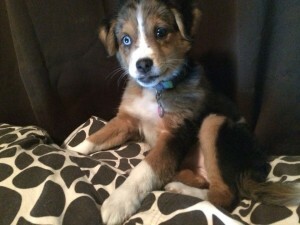 This entry was posted in Golden Retriever Mix, Husky Mix. Bookmark the permalink. Where can get a Goberian dog\puppy. Thank you.